Behold, the much anticipated Hopetech HB.160 in it’s natural element. We are big fans of mountain bike films that use only the RAW sounds of riding instead of some flashy soundtrack. Don’t get me wrong having a well laid out musical soundtrack is for the flow and the timing of a film and gets you pumped to ride, but there is just something so pleasing to hear the bike rocket down the trail with the sound of the bike frame suspension and dirt under the tires. To me that is really puts you in the riders POV and makes you wish you could ride how the pros do. Having a carbon bike ridden RAW is even better as these frames tend sound quieter and put off different acoustics on the trail. If you a bike gear nerd like me you will appreciate this. 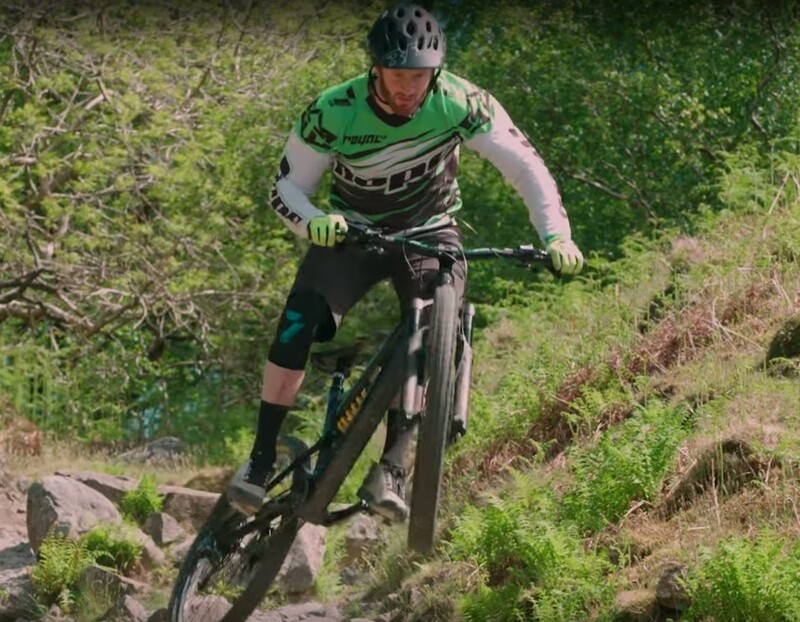 There aren’t many that can throw about bike around and ride down a mountain as fast and as stylish as Adam Brayton aka “Gas to Flat”. I’m certainly in the normal riding ability category and not Adams. If you are lacking and needed motivation to get out and ride as much as possible this fall riding season, sit back and turn the volume up to 11. I also suggest a little more bass for the low end sounds of the bike and trail under Adam. You will be glad you did. If you would like to know more about the new Hopetech’s carbon HB.160 mountain bike Adam is riding you can visit the Hopetech team. The HB.160 is slated to be available to select UK dealers starting August 21, 2017. As of now we have seen some pro racers like Adam aboard this beauty which means we should see more out in the wild over the next year. I hope to see one across the pond here in the United States and have a chance to throw a leg over it for a demo.